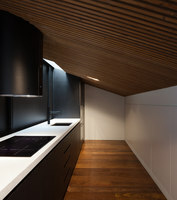 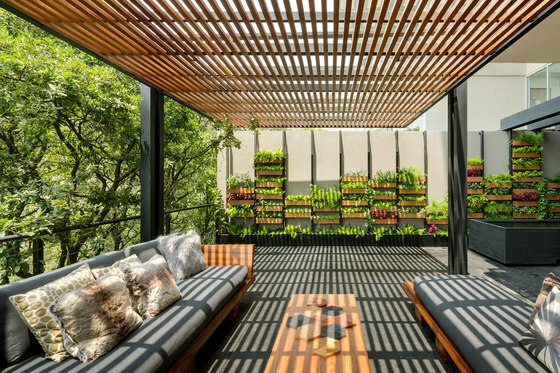 This apartment project occupies the lower level of a building on Mexico City’s west side. 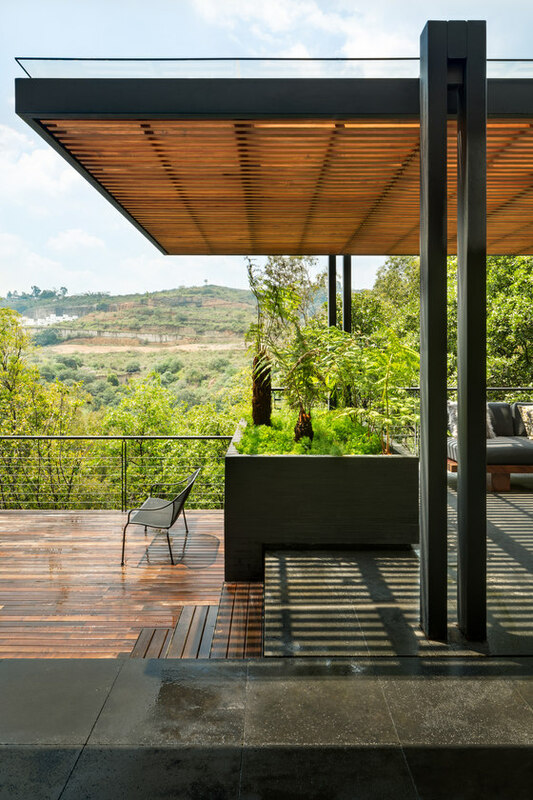 It generates a dialog between the newly constructed building and its environment, interweaving the project with its landscape and unifying indoors with outdoors. 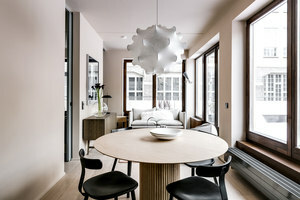 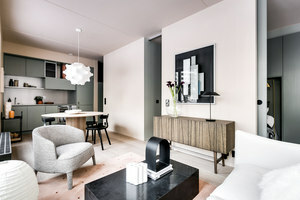 The design process inserted targeted elements that produced a series of specific, outdoor spaces whose function is directly related to the apartment’s indoor activity. 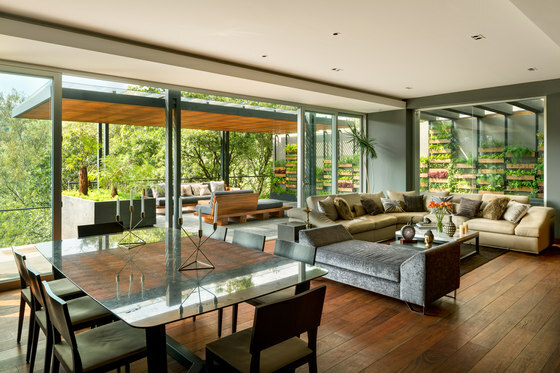 The indoor section has a linear axis with access to the rooms crossing through the common, semi-private, and private areas. 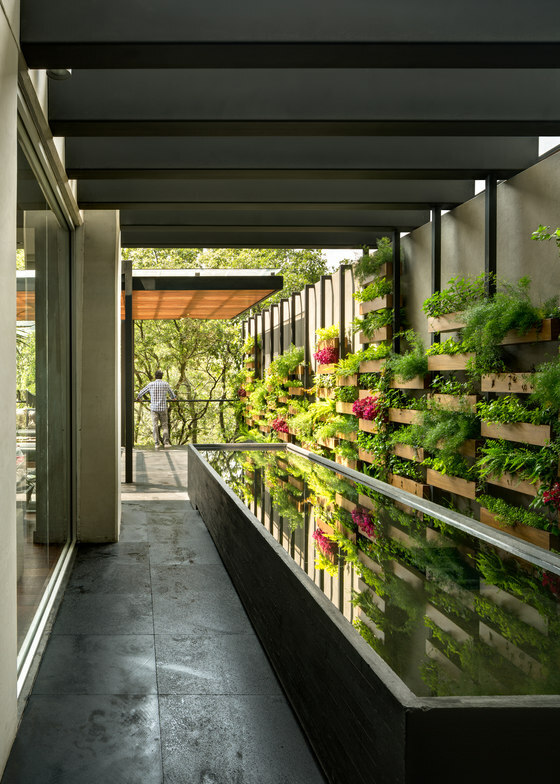 Likewise, the outdoor layout follows a parallel design; a wall runs along the axis that encloses and divides the areas based on the required activity. 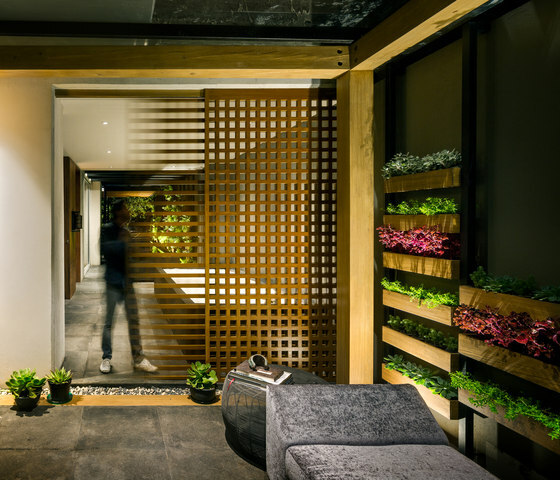 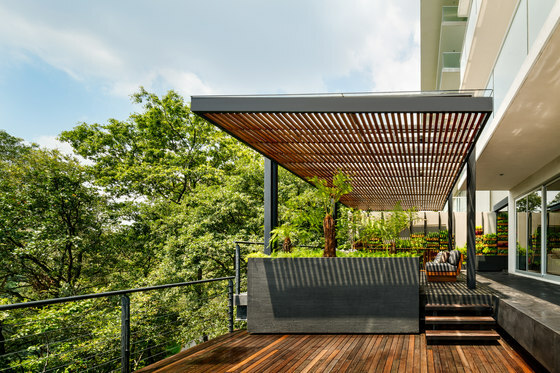 The northeast holds two terraces joined by a pergola; the first houses a living and dining area with a vertical garden built of wooden boxes reclaimed from the shoring system used in the construction. 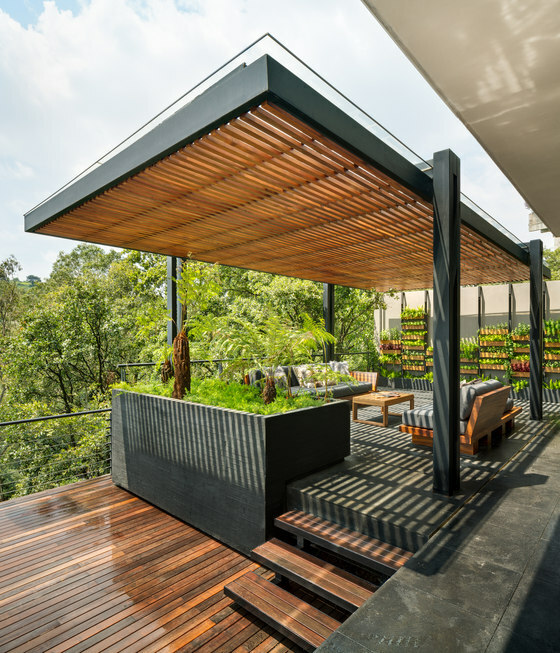 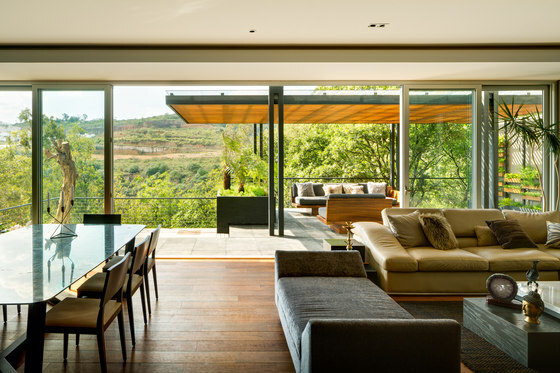 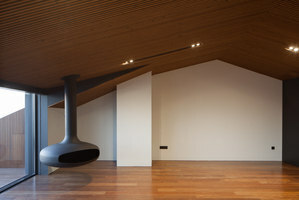 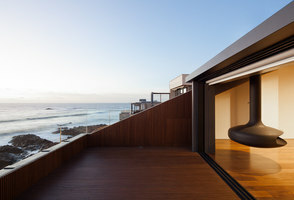 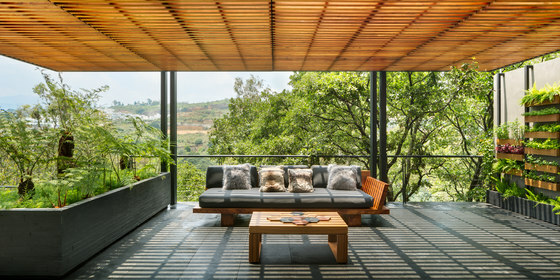 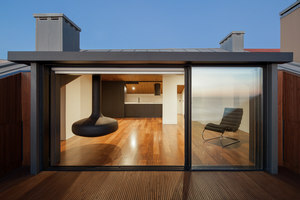 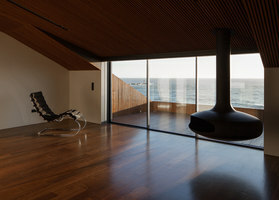 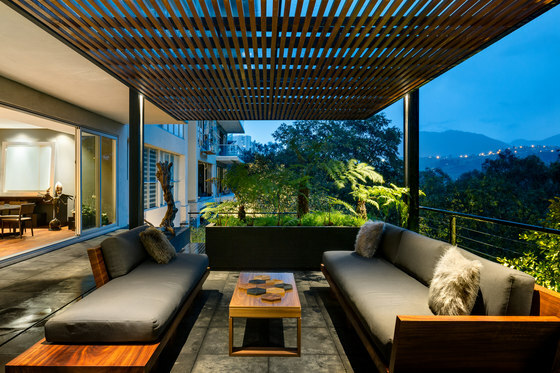 The second terrace rests on a lower overhang, suggesting a closer relationship with the landscape. 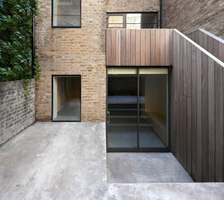 Finally, a staircase connects it with the gully underneath the structure. 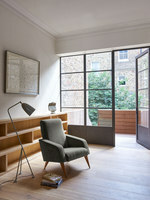 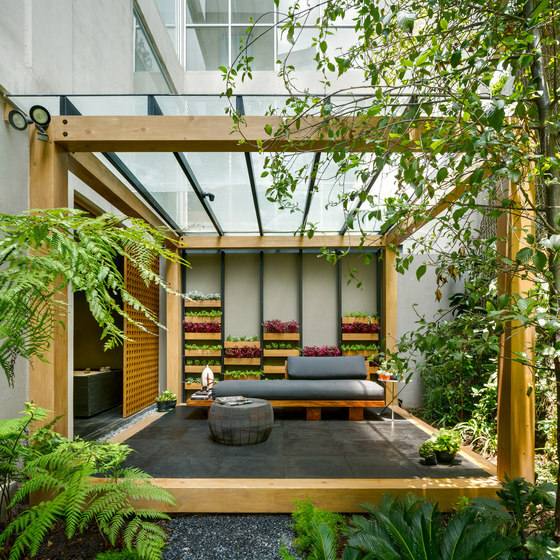 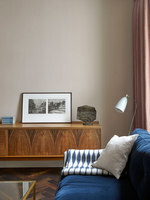 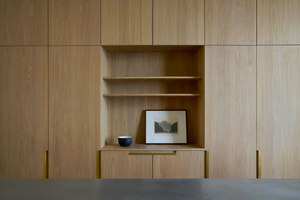 The southwest houses a more private garden that connects to the bedrooms, the TV room and kitchen, culminating in a contemplative space known as the Garden Box. 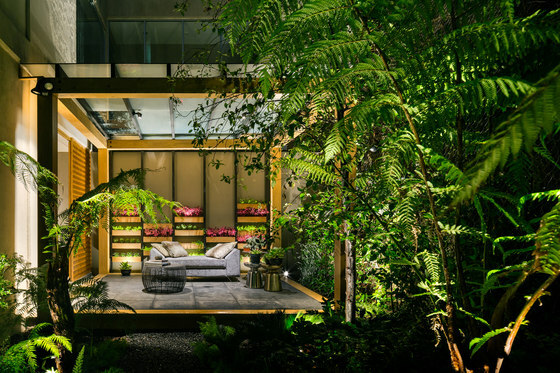 This open module is designed for an intimate interaction between the spectator and the garden. 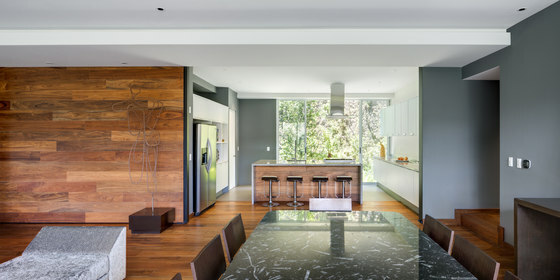 Three transition elements were built with reinforced concrete, each with its distinctive energy. 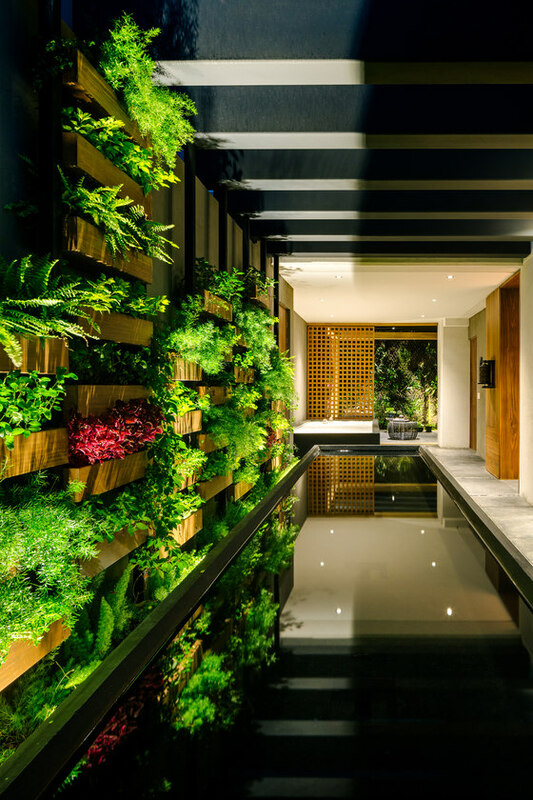 The first is a pool of water that symbolizes the purification of the access space, while endowing the access with movement and sound. 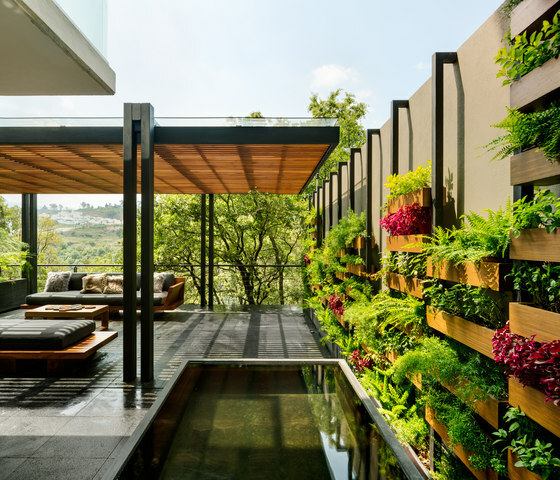 The second consists of a garden of energy stones, while the third is a vegetable garden, designed to blend the gully’s natural vegetation with the terraces.